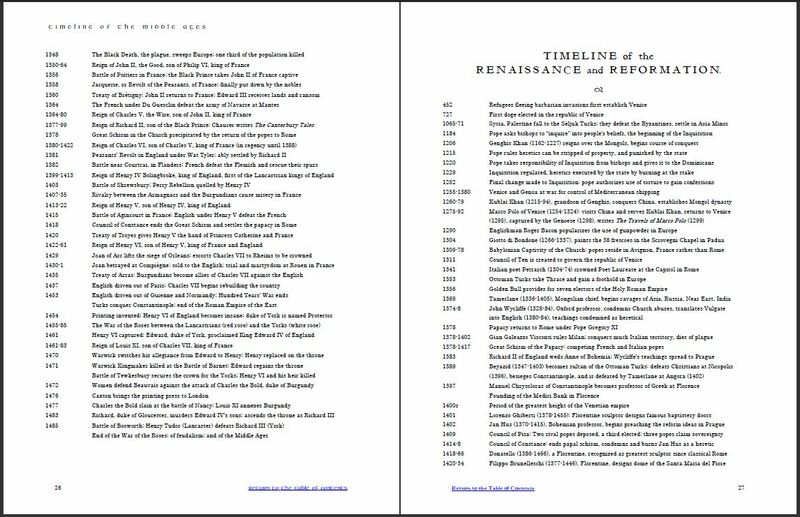 Guerber’s Histories Timelines contains just the timelines from taken from Nothing New Press’ editions of Guerber’s Histories: The Timeline of the Ancient World, The Greeks, The Romans, The Middle Ages, The Renaissance and Reformation, New World Colonization and the American Revolution (the timeline from The Story of the Thirteen Colonies) and The Great Republic. 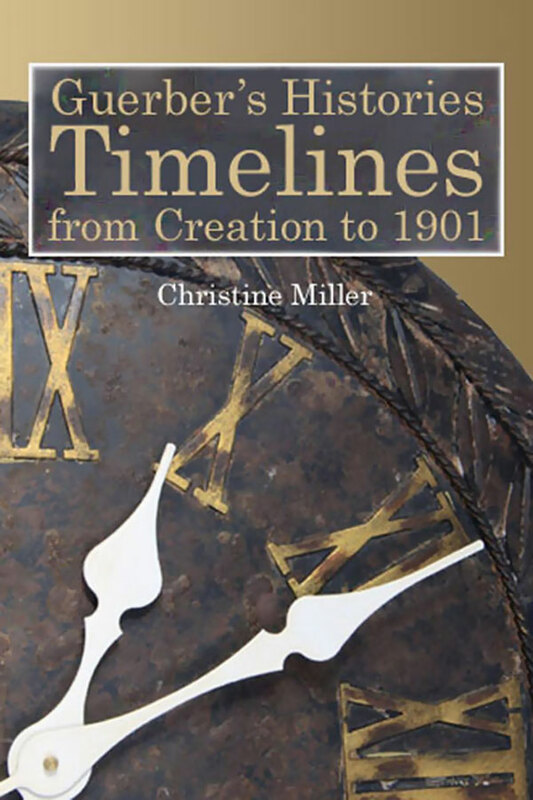 The timelines cover Creation in 4004 BC, where The Story of the Ancient World begins, to 1901, where The Story of the Great Republic ends. 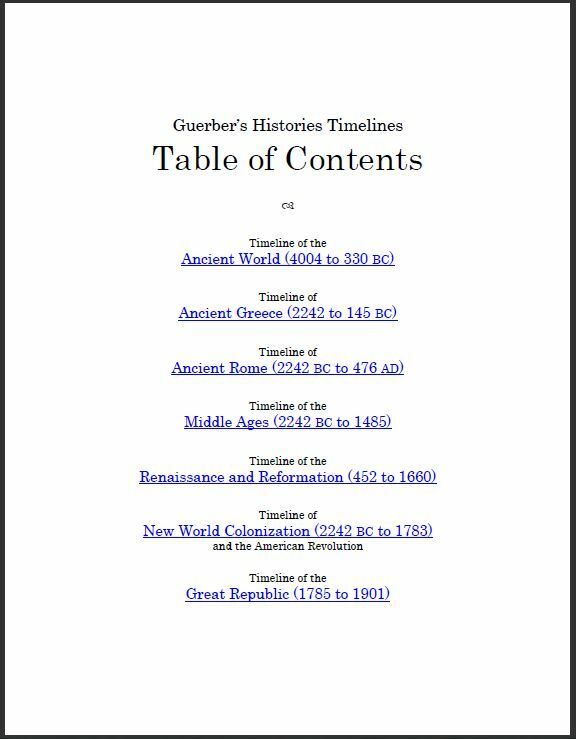 They are exactly as they appear in the newest editions of Guerber’s Histories, all in one place, for your convenience. 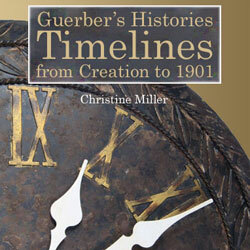 Do you have a question about Guerber’s Histories Timelines?